Terrie Leigh Relf: What are your daily writing rituals? How do you prepare your space for these activities? 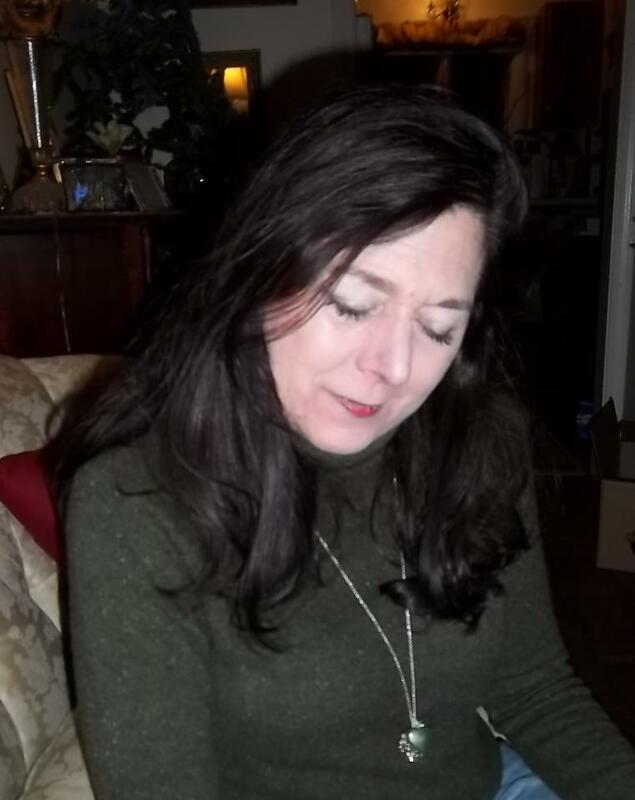 Lisa Mannetti: As a California girl, this may not have occurred to you, but as a Yankee—well, what passes for a Yankee since I live within spitting distance of Connecticut—we have seasonal rituals surrounding our writing. In the summer, we pretty much just get up and work—the biggest decision I personally have to make is whether I want to work on the front porch or at my desk. Mondays and Tuesdays, for example, it’s the desk. Not because I necessarily want to get the week headed on the right track, but because those are the days the brigade of lawnmower and leaf blower men show up in the neighborhood and doing anything while they trammel and tame the local Kentucky Blue and Bermuda is impossible. As a result of the decibel levels they generate, thinking—much less writing—seems like a quaint fantasy, and ordinary activities as banal as talking to a phone solicitor take on the dreamy wistful quality of nostalgia. Winter—especially during years when the snow piles up to engulf not only the four-foot wooden posts, but our snow-plow battered mailboxes and even the cute little red flags perched on top—in these parts demands completely different rituals for writing. In the northeast, bootstrapping doesn’t mean getting yourself into or out of a situation using existing resources—although in truth, without existing resources such as actual boots, you are SOL—it translates more accurately as digging your winter footwear out of the closet in order to be able to shovel the driveway, so you can get a goddamn cup of coffee and get writing already. Of course, before you do that, you have to make the decision to leave your warm, toasty bed for the fell environs of your typically icy cold Yankee house. I have friends who have discovered, on winter mornings, the coffee pot actually frozen to the stovetop. Personally, I wouldn’t get up—which I believe is why laptops—kept under electric blankets and within an arm’s length of New England beds—were invented. Preparing my space typically involves sweeping cats off the keyboard and emptying whichever desktop ashtrays they haven’t hurled to the floor during the previous night. TLR: With what media – or genres – do you work? LM: Dark literary, satire and black humor. As far as the media goes, I’m waiting to hear from ABC, CBS, and The New York Times, and I’m certainly willing to work with any of them or even, heaven forbid, the British tabloids, but so far no one has called. TLR: Do you have a “day job” in addition to being a writer, or is that your day job, too? If you have an unrelated day job, how do you balance your creative and work time? LM: I’m pretty sure you mean the kind of day job that entails lunch hours and paychecks, but I do think feeding cats who are always hungry, refereeing fur-flying, claw-digging fights, changing the litter box on a continual basis for these finicky felines, and cleaning up hair balls may qualify as actual work. Tending to my brood sure feels like it. TLR: What tips do you have for other writers? This could be anything from a time-management strategy to an inspirational quote or exercise. LM: Read everything you possibly can—in and out of your genre. Stretch yourself: Make each project a creative challenge and strive to write your best each time. TLR: What would you like people to know about the creative process in general and your creative process in particular? LM: It can change over time and even from project to project. Currently, I don’t write hurried first drafts—I rewrite as I’m writing. It takes longer (seemingly) but it’s actually a short cut for me. I find I write fewer scenes and/or sections that aren’t working and have to be cut, and it gives me the time to find solid solutions for plot and character problems and/or development. I research a great deal before and during the writing, and even on the fly mid-sentence. I also find that research often becomes the key for both character and plot situations. TLR: What interview question would you most like to be asked? Least? TLR: What about upcoming publications? Other accolades? Most recent publication is my short story “Almost Everybody Wins” in the anthology Insidious Assassins, edited by Weldon Burge. 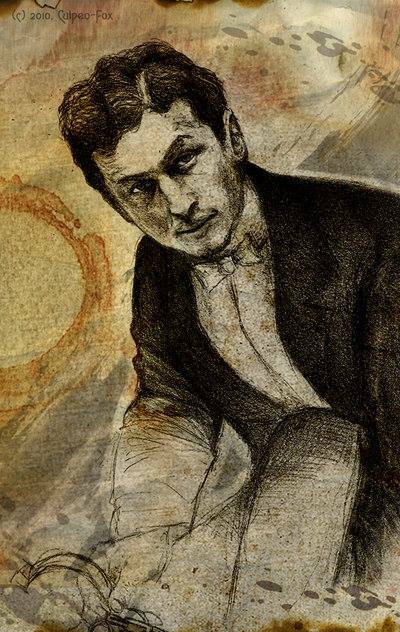 Upcoming publications include a very lengthy (39,725 words) novella about Houdini entitled, The Box Jumper, in which thirty years after his death, one of Houdini’s premier assistants reveals the secrets of his paranormal abilities—but is she telling the truth? And, I’m currently working on a dark, tragic novel called Radium Girl, a highly fictionalized account of the illness and deaths that occurred in the 1920s. TLR: Thank you so much for sharing your unparalleled wit and wisdom! Please enjoy reading her bio bellow—and be sure to visit her websites! Lisa Mannetti’s debut novel, The Gentling Box, garnered a Bram Stoker Award and she has since been nominated three times for the prestigious award in both the short and long fiction categories: Her story, “Everybody Wins,” was made into a short film, and her novella, Dissolution, will soon be a feature-length film directed by Paul Leyden. Recent and upcoming short stories include, “Resurgam” in Zombies: More Recent Dead and “Almost Everybody Wins,” in Insidious Assassins. Her work, including The Gentling Box, and “1925: A Fall River Halloween,” has been translated into Italian. She has also authored The New Adventures of Tom Sawyer and Huck Finn (Smart Rhino Publications), two companion novellas in Deathwatch, a macabre gag book, 51 Fiendish Ways to Leave your Lover, as well as non-fiction books and numerous articles and short stories in newspapers, magazines, and anthologies. Forthcoming works include additional short stories and a novella about Houdini, The Box Jumper (Smart Rhino Publications, September 2015). She is currently working on a dark tragic novel entitled, Radium Girl. Lisa lives in New York in the 100-year-old house she originally grew up in.